The Kahoona is a true pulling machine. It covers a huge wind range thanks to its quad strut design and great depower characteristics. 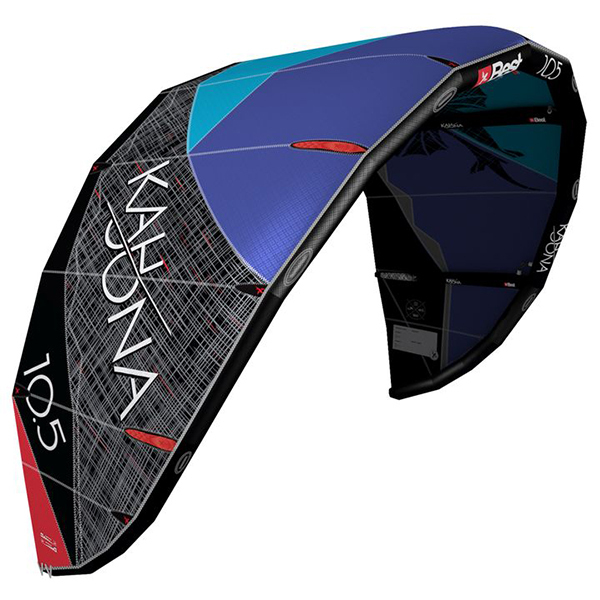 The Delta platform and the new 2 point back bridle system provide the kite with exceptional control and auto-relaunch capabilities, making it the perfect kite for all skill levels. While jumping it has a great lift and an even better hangtime, which also ensures smooth and soft landings. The 2015 Kahoona is lighter, faster and more durable than ever before. It is the perfected progression and freeride kite for you to enjoy every ride! area of attack (in swept kites), as well as increasing the wingtip stability. – Bridle towpoints moved toward center to reduce back stall. – Better relaunch …more curvature in wingtip to improve re-launch.